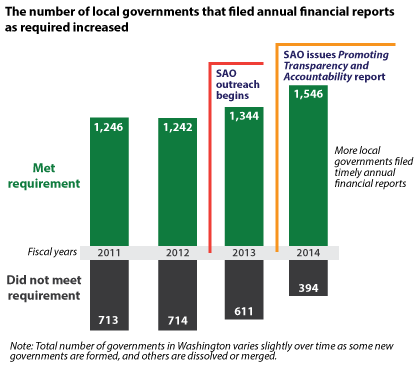 SAO Home/The Audit Connection Blog/Is your local government filing its annual financial report? Is your local government filing its annual financial report? On January 27, 2016, our Office published a follow-up to a report we issued last year on local government financial reporting. This year’s results show that our outreach efforts have contributed to a greater number of local governments filing their reports as required by law for fiscal year 2014. Our outreach, provided at no cost to local governments, included training sessions and how-to-file workshops, support from the Auditor’s Office Helpdesk, and improvements in our online filing process. Staff from our Local Government Performance Center offered additional support and workshops. 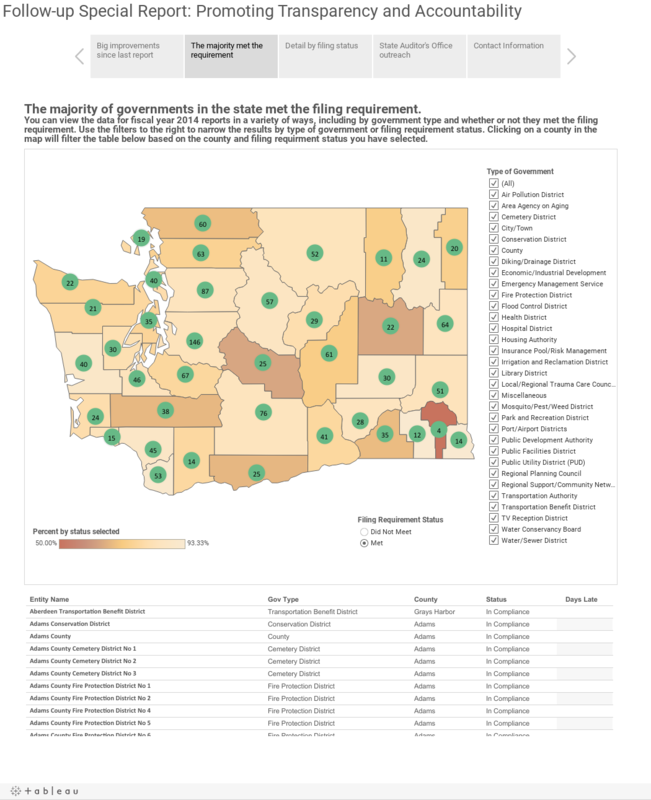 Of the 394 local governments that did not file, more than half did eventually file, but after the deadline; another 50 started filing but did not complete their report. About 100 governments did not send any data, and 70 of them did not file a report for 2013 either. The report also addressed the consequences of not filing an annual report, and our plans to help more entities file, including more workshops for governments large and small.